QueryTracker Blog: Everything I Know About Storytelling. . . I learned from soap operas. Now you may snicker, perhaps even sneer, but hear me out. For starters, understand that my work is mass market fiction, as in “mass appeal”—that’s the hope, anyway, of both my publisher and me. Good commercial fiction has to have mass appeal. And appealing to the masses is something that the soaps understand. My acquaintance with soap operas began at the knee of my late, lamented Mema, who had an unfortunate addiction to the well-loved and now defunct Another World. Apparently, her addiction was contagious, because she passed it on to me. 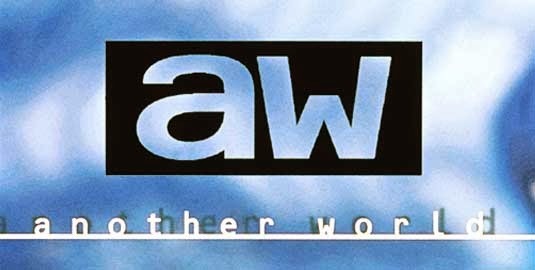 I watched AW nearly faithfully from the time of its inception until it went off the air in 1999. No matter how twisted the characters or outrageous the storylines, I remained a fan, through more decades than I care to share with you, gentle readers. And I still nurse a crush on the dark-eyed, curly-haired Cass Winthrop, dashing-rogue-turned-family man, who in the 1980s was da bomb. But I digress. Let your characters drive your story. Good soap characters have developed back stories, clear motivation, well-articulated personality traits, and distinct voices. They’re characters who are so believable that viewers come to think of them as friends (and frenemies). And isn’t that how we want our readers to feel about our own characters? Create tension and conflict at every turn. Have a budding romance between two charismatic characters? Be sure to bring back a long-lost wife or husband. Or give one of them an incurable disease, a dark secret, or an evil twin who wreaks havoc. But keep throwing those obstacles in the way of happiness. And while I don’t recommend the Evil Twin Plot Contrivance, I do encourage the skillful use of conflict in your storyline to propel it forward and raise the stakes for your protagonist. Make ‘em wait. Then make ‘em wait longer. Story arcs in soaps run anywhere from 6 to 12 weeks (though it seemed like years that Vicky was locked in that basement). Long story arcs prolong suspense, and soap writers ascribe to the notion that the longer the wait, the more satisfying the resolution. Romance writers, take note. The cliffhanger is your friend. That faithful staple of soaps can be effectively applied in your own stories. In mysteries, for example, it’s crucial that each chapter end on a mini-cliffhanger. If your story is layered with sub-plots, using cliffhangers within chapters can help keep your readers focused on more than just the main plotline--and keep them coming back for more. So if soaps are your guilty pleasure, you now have permission to consider your habit research. Here at QT, we try to keep the days of your writing lives bold and beautiful. For more of our guiding light, be sure to tune in tomorrow. . .
A Jersey girl born and bred, Rosie Genova left her heart at the shore, which serves as the setting for much of her work. Her new series, the Italian Kitchen Mysteries, is informed by her deep appreciation for good food, her pride in her heritage, and her love of classic mysteries, from Nancy Drew to Miss Marple. Her debut novel, Murder and Marinara released October 1. An English teacher by day and novelist by night, Rosie also writes women’s fiction as Rosemary DiBattista. She lives fifty miles from the nearest ocean in central New Jersey, with her husband and two of her three sons. Awesome! Though I was a Guiding Light girl, myself.